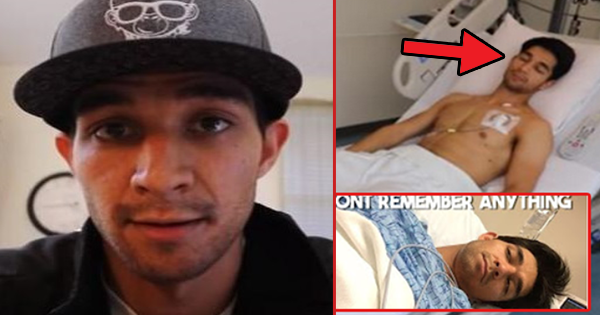 Youtube vlogger Wil Dasovich uploaded his most important vlog ever because he has a big announcement to make. He is a traveler, nature enthusiast, and a former Pinoy Big Brother Housemate. On his 11 minute video, he narrated how he traveled the Southeast Asia from the States after his graduation and hpw he finally settled in the Philippines. He featured the different places Moreover the breathtaking scenes he went to tell the world how he enjoys life. He had the struggle of lost when he doesn’t know what work shall he invest in taking into consideration that aside from earning from that work, he will enjoy and be passionate of what he will do. “When the opportunity closes, build another door,” he said on his vlog. So he built a new door that would open a new opportunity for him to do what he loves. He was introduced to vlogging and he enjoyed every minute of his adventures. “It’s not the years in your life, but it’s the life in your years that count. The biggest thing that we have to realize is that life has no limitations except the ones we create,” he shared with conviction and full of love, that everybody wants to live a long life but living that life can make it extra special. With boldness and courage, he dares himself to live his life to the fullest. He mentioned that what he values more from his work are the people he met, the memories shared and will forever be cherished, and the things that he learned, the smiles that he witnessed. Before the end of the video, he disclosed that he is suffering from cancer, after his series of check ups. He also told that he can be helped by people who are willing to listen, who will be interested to follow him and travel with him, learn with him. “Are you satisfied with the way you’ve lived your life and have you maximized your experiences? My answer to that question is yes. And that’s why I’m content with my condition and the hardships I face,” he said. This is his closing statement to his video that people would ponder on. Have we achieved that satisfaction in our life?